Apple reported its second quarter earnings today. As expected by many analysts, the stock took a beating after hours after reporting earnings of $1.90 on Sales of $50.56 billion. Shares of the Cupertino, Calif. company plunged more than 8% after hours, sinking to less than $96 and evaporating a two-month rally. There are going to be a lot of reports and analyses from the perspective of a shareholder. Some pundits will suggest gloom and doom while others may suggest that Apple is in the territory of a Value Play moving forward. At AppleToolBox, we wanted to think about what the numbers mean from an user ‘s perspective. With so much vested into the technology, is it all gloom and doom from this point forward or is there a reason to be more optimistic. We think that there are definitely good reasons to be optimistic as an Apple User. 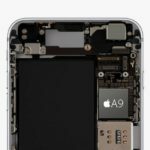 1 iPhone unit sales were down from a year ago for the first time. They were 51.2 million units, down 16%. 2 iPad revenue was $4.41 billion on unit sales of 10.2 million. 3 Mac revenue was $5.11 billion on 4.03 million in unit sales. 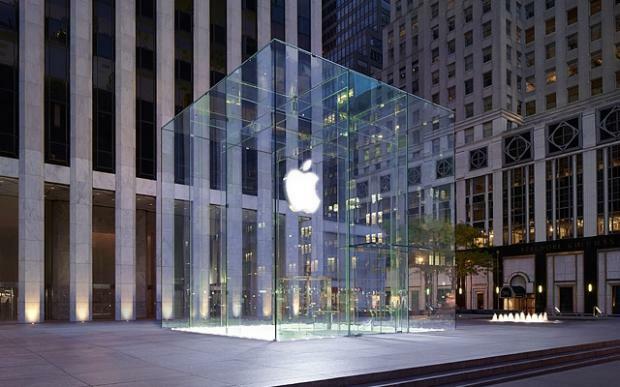 4 Apple said its services revenue was $5.99 billion. 5 Is the Brand Premium Justified? iPhone unit sales were down from a year ago for the first time. They were 51.2 million units, down 16%. This shouldn’t have shocked many of us. 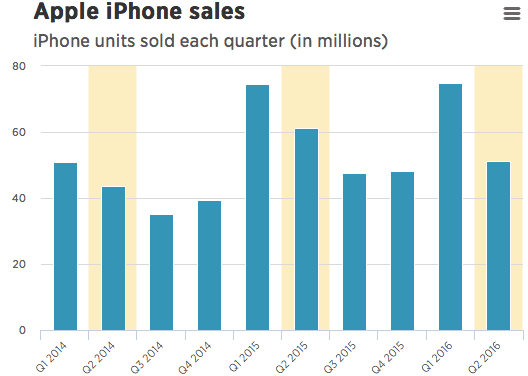 News around slowing iPhone sales have been in the news since last quarter. The milestone is important however. This is the first time that in the history of the company it has reported a decrease in iPhone sales period over period. The Revenue from iPhone shipments have been the biggest driver of Apple’s earnings. For his part, however, Tim Cook described the iPhone business as “healthy and strong” on the call. 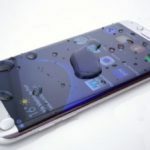 In fact, Cook said the company added more switchers from Android and other platforms in the first half of the year than in any other six month period ever. Every innovative product goes through this cycle. It is the same with the iPhone 6 and its other models. As an iPhone user, what is exciting is to see the large number of people that are switching over from Android and other platforms into the iOS platform. In principle, this would mean that the differentiation strategies offered by iOS are generally superior to that of the other prevalent platforms. 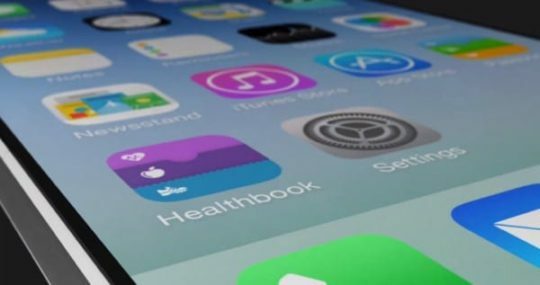 This news also means that Apple will try to enhance the user experience and will continue to attract switchers. 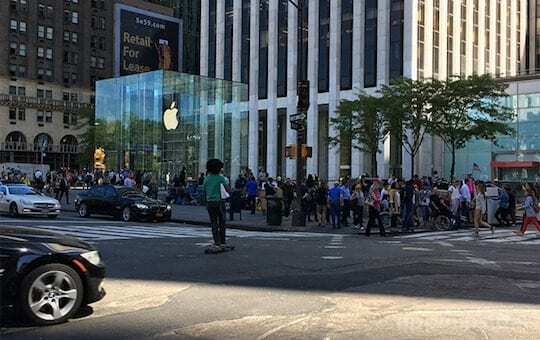 There is no debating the fact that in order to bolster the faltering iPhone sales, Apple either continues to innovate its product line by offering new iPhone models allowing users to upgrade or continues to attract switchers in large numbers. Either way, in order to sustain this, it will need to innovate its iOS platform. It cannot afford to make many blunders such as with the iOS 9.3 release which left a bitter taste for many users. 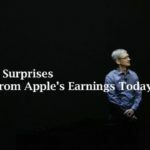 If you are a current iPhone owner or are planning to get one soon, the story from the earnings is not that bad. It’s a win win for an user as we will be able to take advantage of a stable operating system, a better user experience and hopefully more innovative iPhone models. Lets not forget that these phones still command a premium pricing in the used device marketplace. Its also important to remember that the benefits from the newer iPhone SE shipments are not factored as much to this quarter’s earnings story. iPad revenue was $4.41 billion on unit sales of 10.2 million. The company reported sales of 10.2 million iPads in the first quarter, suggesting the new iPad Pro in 9.7-inch and 12.9-inch options is at least helping slow declining tablet sales. As an user, I think that Apple’s innovative strategy is working to its advantage in this segment. Where other tablet manufacturers have seen their entire sales evaporate, Apple has stopped the bleeding by offering new products. Its new iPad Pro line has been hailed as a technologically superior product than anything out there. It wouldn’t be surprising if Apple continues to innovate here and pushes this product to its Enterprise customers thereby attracting more unit sales in the quarters to come. Mac revenue was $5.11 billion on 4.03 million in unit sales. No surprise here as more and more people are moving from personal computers to powerful smart phones. This is in fact the fourth quarter in a succession where Mac sales have declines from prior quarter. Q1 saw a total sales of 5,312 units for a revenue of $6.7bn. The only way to stop the bleeding in this category is to offer new products that bring incremental value for folks that already own an iPhone or iPad. This new design thinking can be seen in the refresh strategy associated with the new 12 inch Macbooks. 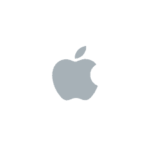 It remains to be seen if the refresh strategy actually works for Apple moving forward. Apple said its services revenue was $5.99 billion. This is an important area to the company, which wants people to know it is more than a device maker (especially as device growth stalls). A year ago, revenue from services was approximately $5 billion. As the market for iPhones and iPads gets saturated, the next step is shaking recurring revenue from iDevice owners by getting us to pay for iCloud storage, subscribe to Apple Music, make our transactions using Apple Pay and buy more apps. This is the aspect of the earnings story that makes me nervous. Apple music was started as a free service remember free itunes radio, anybody? Now that has changed. As a user you will need to pay the subscription fees if you want to experience music beyond the free 24/7 Beats radio once your free trial period has expired. It does make sense since Artists need to be paid for their work. If you look at the other services such as Apple News, it is currently free. One wonders if Apple will institute a subscription model at some point in the future to get additional revenue streams. Similarly most of the transaction costs associated with Apple Pay are never passed to the customer. As Apple Pay gains momentum, will Apple start passing some of the costs to the customers? There is also some fear that as Apple invests in iCloud service offerings, will it extend these services in the future and start charging extra dollars for some of the offerings? It will be a disaster if Apple chooses to move any of its core iOS functionality into cloud and charge users on a subscription basis. Is the Brand Premium Justified? 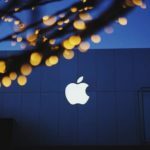 As an user, these are important questions to ask as we continue to invest in the Apple brand premium by keeping up with all the new Apple products and associated services. As a company, Apple has differentiated itself with real differences that justify some of these premiums. 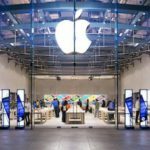 Apple has consistently attempted to do this through its innovation, superior customer service and marketing and advertising campaigns that engage consumers’ emotions. Apple’s success illustrates that people will pay a premium for products and services that offer substantive differences. Good branding means you ask a fair price for your product and services, and that you communicate to consumers the value suppositions that prove you deserve to get that price. On the heels of celebrating Earth Day, one area where Apple has remarkably done well in differentiating itself in the industry is via its choice of pursuing a sustainability strategy in every component of its value chain. It is not always easy to do this and meet your investor expectations of profitability. Although, Apple’s gross profit margins have stayed at the 39% -40% range for the past few quarters, you can clearly see Apple focus on what it does best. Innovation. As a percentage of Sales, Research and development is close to 5% for this quarter. Last year for the same quarter, R&D was only 3.31% of the total sales. This would signify that we can continue to see new and innovative products as we move forward through the rest of the year. As Augmented Reality and Virtual reality platforms mature, it will not be a surprise to see some sort of product positioning in these segments moving forward. We can also expect to see some of these R&D premiums to show up in the new iPhone 7 product lines when they are launched. We’re sure we will wake up tomorrow to hear about another 52 week low on the stock price, but let it not dampen your spirits as more and more innovative products and services will continue to unfold in the coming quarters as Apple continues to make its products more robust, more secure and more user friendly. Please let us know your thoughts from a user perspective and feel free to share them in the comments below. It seems to me that Apple has deteriorated in the development of their desktop operating systems. It has been my experience that as each new OS came out, my iMac got slower and slower, at least in startup time. After Tiger, the startup times seemed to almost double with each new OS. But now it seems disfunctional. I was looking forward tonEl Capitan for one reason: My Notes app would sync between my iPad and my iMac. That in itself is an embarrassment, because it should have done that ever since iCloud came on the scene. No excuse for it. I upgraded from Yosemite to El Capitan, and I was happy to see my Notes finally synced between platforms. However, my Mail app crashed. Fortunately, I had cloned my system on external, so I re-installed my Yosemite system and data. Email was fine as before. When I saw the next upgrade had made some corrections regarding Mail, I installed El Capitan again, and sure enough, Mail worked normally, but now Safari could not correctly render one of my favorite web pages. So again, I re-installed my Yosemite clone. I’m suspicious that with all the revenue coming from the mobile platforms, that the desktop OS is suffering from assignment of less talented programmers. The sloppiness is very un-Apple, and I find I cannot recommend it to non-Apple users anymore.